Smartphone gaming is becoming more popular with each passing day and Xiaomi wants to make the first mover advantage in this segment. Black Shark is the gaming-focused sub-brand of Chinese smartphone giant Xiaomi. The company launched the Black Shark 1 gaming handset back in April 2018. 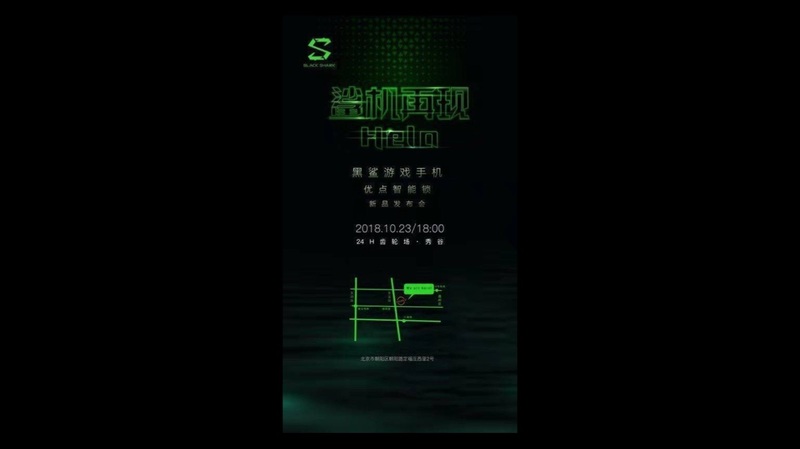 And now, the launch poster of the second generation smartphone that is about to launch has surfaced online. The poster reveals the possible launch date of the Black Shark 2 which is scheduled for 23 October. A lot of leaks about the device have already surfaced online prior to the official launch including the specifications, and a hands-on video. 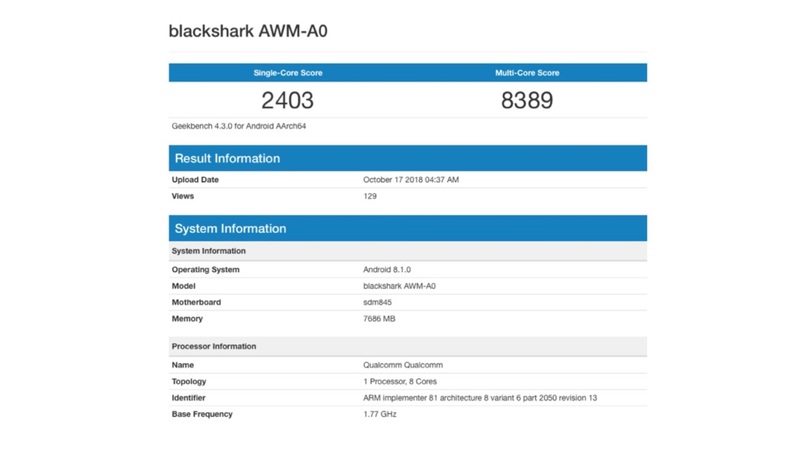 Recently, the Black Shark 2 has popped up on Geekbench’s website. The Geekbench result reaffirms the previously leaked specifications. The device has a 2403 single-core and 8389 multi-core Geekbench result. The Black Shark 2 has the Octa Core Snapdragon 845 chipset paired with 8 GB of RAM. The smartphone runs Android 8.1 Oreo out of the box. The device is set to get Android 9 Pie soon after its release, according to reports. 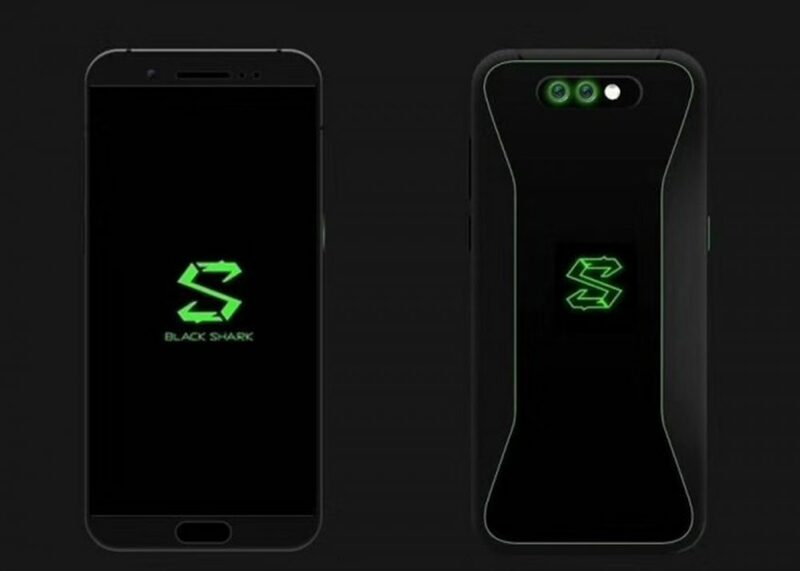 The leaked video reveals that the Black Shark 2 gaming handset has a glossy tapered back panel with a center mounted RGB backlit logo like the Razer Phone 2. Additionally, it has RGB LED strips on either sides and a dual rear camera with an LED flash. With the RGB light , the device looks good and might be a hit amongst users who love such exuberant colours. Although the leaked specs and video look genuine, Xiaomi has not commented on the same. We are yet to hear about the official launch date of the device from the company. For now, we can only wish that the device launches soon and makes its way to India for all the gaming lovers who are patiently waiting for the device.